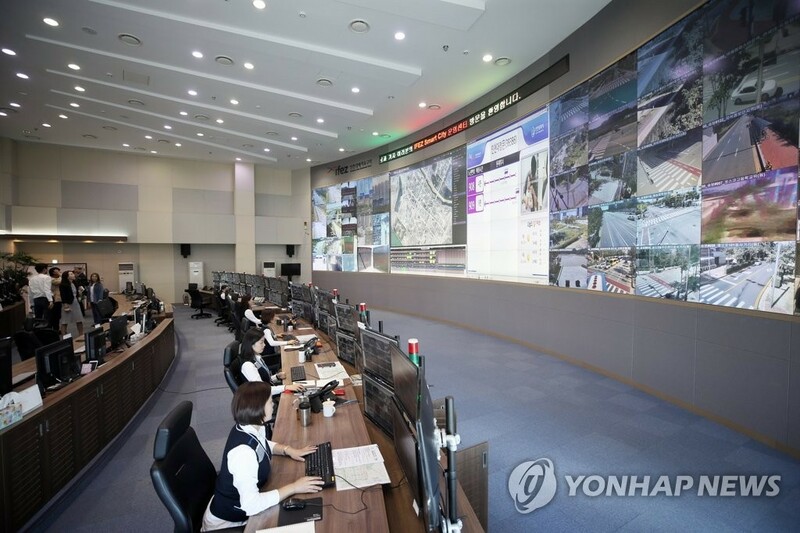 (INCHEON=Yonhap News) The smart city platform of the Incheon Free Economic Zone (IFEZ), globally deemed as a standard model for public smart city, received two additional domestic certifications. The IFEZ Authority said on April 11 that its smart city platform recently received Good Software (GS) and Green Data Center (GDC) certifications. GS certification is a national certification on seven quality areas of locally developed software including functionality, reliability and usability in accordance with the Software Industry Promotion Act. GDC certification is to measure energy efficiency by measuring the energy usage of data centers. Previously, the smart city platform by IFEZ obtained a standard certificate from the Ministry of Land, Infrastructure and Transport (MOLIT) and the Telecommunications Technology Association (TTA) in August last year. The smart city platform refers to core software and hardware of smart city, capable of collecting and processing various infrastructure data of a city, such as transportation, security, environment, and energy, as well as developing and loading diverse services. The IFEZ Authority owns, jointly with Incheon Smart City Corporation, three patents and two copyrights concerning the smart city platform. It has been actively pursuing the sales of the smart city platform home and abroad. The smart city platform is characterized by the City Management Center based on advanced ubiquitous technology and in operation around the clock providing a variety of remote public services. Currently, the smart city platform of the IFEZ including Songdo International City is recognized as the most advanced in Korea. An official from the IFEZ Authority said, "As the reliability of smart city technology and software has been acknowledged by the national authority, its export is expected to gain momentum." ** This article was translated from Korean.